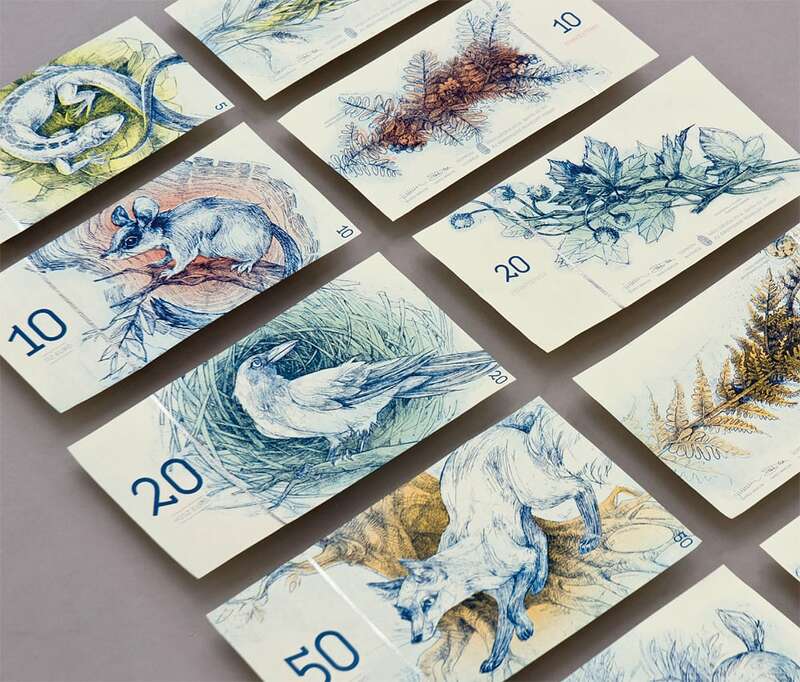 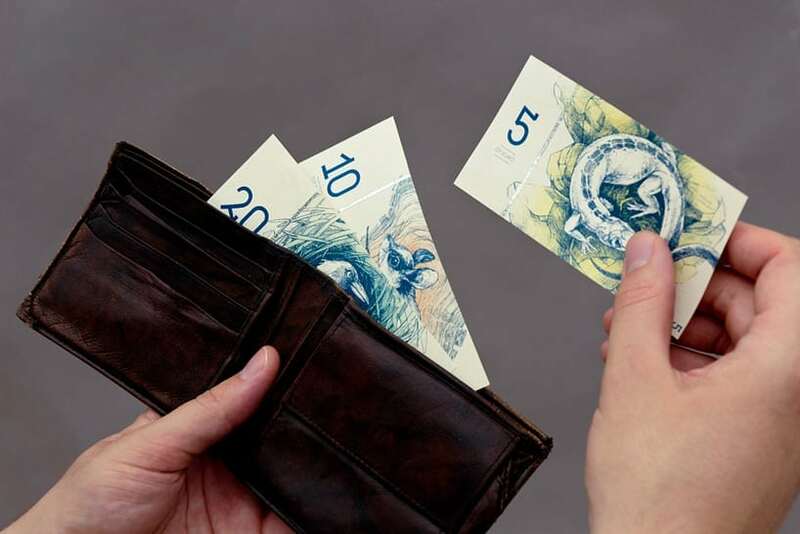 Budapest-based graphic designer Barbara Bernát decided to make a lovely concept of the Hungarian euro for her MA degree project at the University of West Hungary. 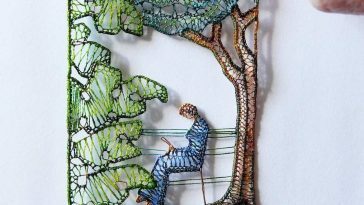 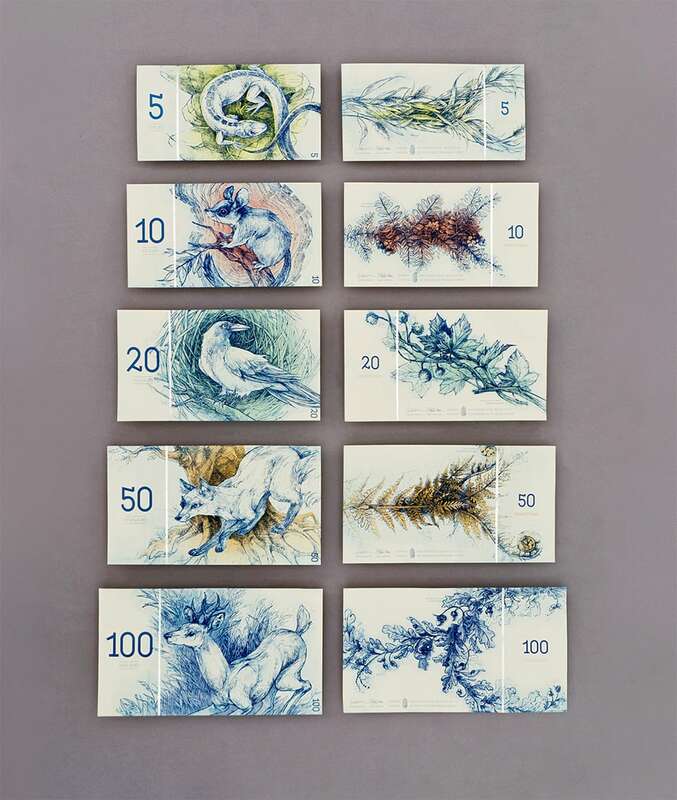 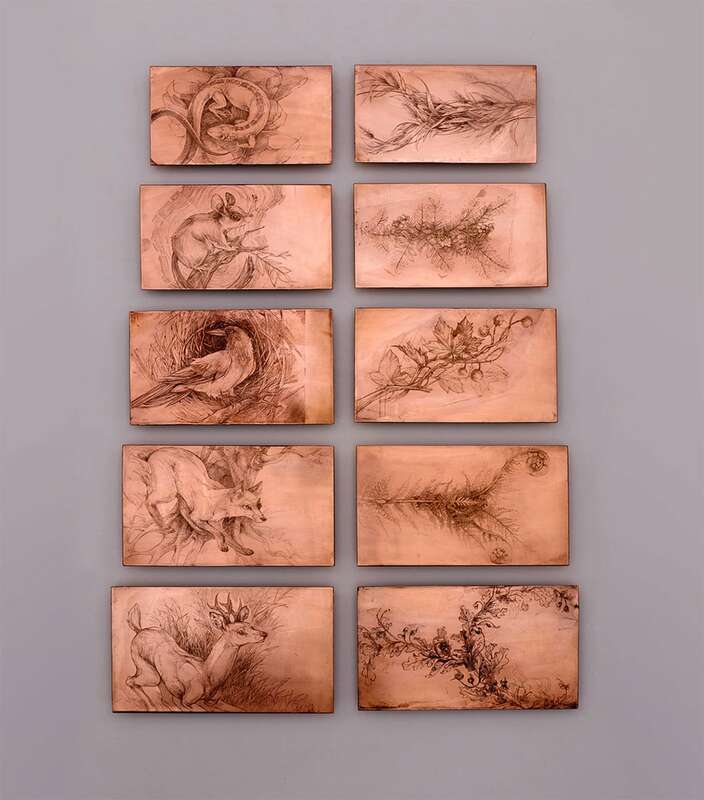 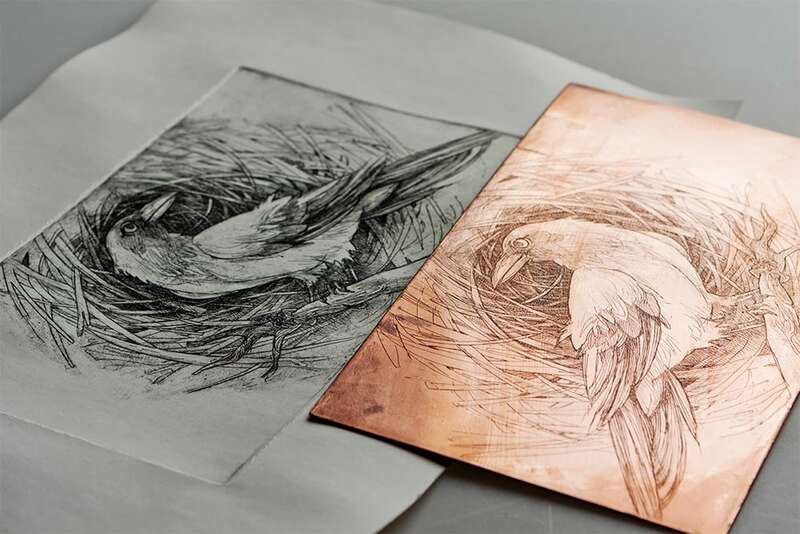 The project included five categories of increasing scale, each made with a set of copperplate engraving; animals on the front and similar plants on the back. 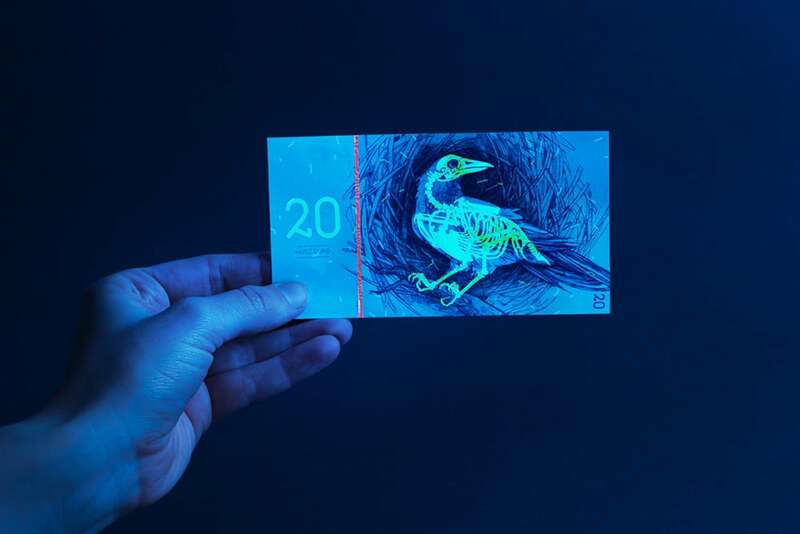 The kicker is a security feature that exposes the skeleton of each animal under UV light, not unlike the new Canadian passport. 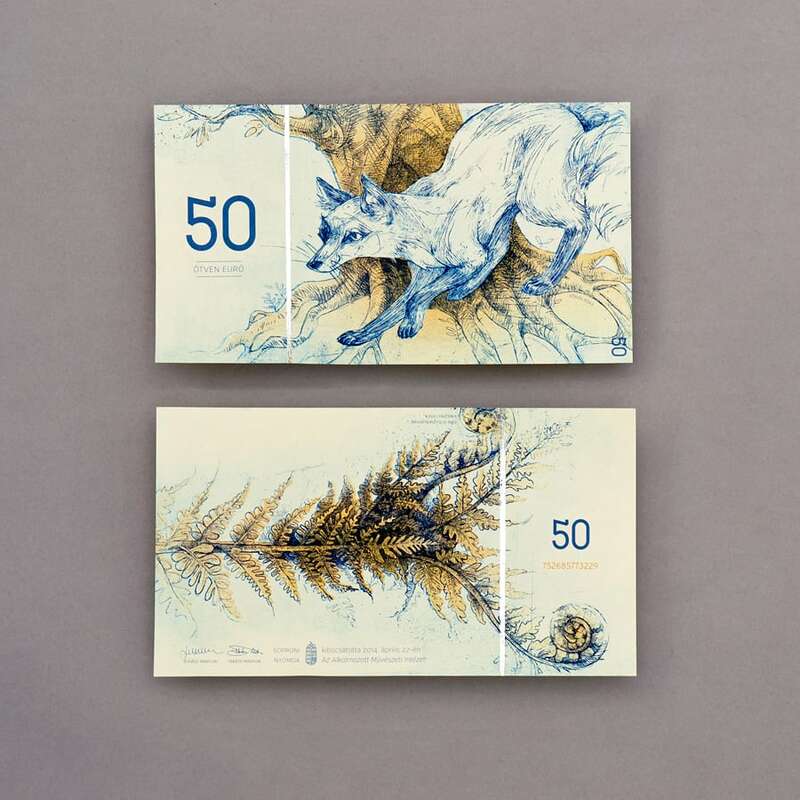 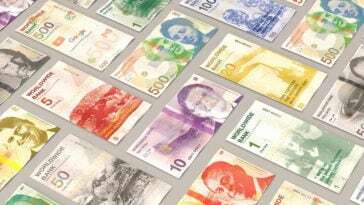 What if Big Companies Issued Their Own Currency?